Performace Accessories including exhausts racing pedals gauges indiglo emblems clutches shifter knobs intakes body kits and more for all makes and models. Steels Auto carries a wide range of accessories such as racing pedals, exhausts, sides markers, gauges, dash lights and more. 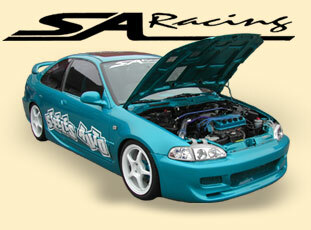 We have a huge selection of brand name performance parts come on down and see for yourself.